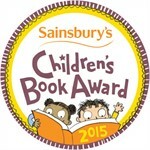 Fiona Watt wins the Sainburys's Children's Book Award Baby and Toddler category for a second year running. The awards were held in conjunction with Save the Children’s ‘Read on. Get On’ campaign, which aims to combat inequality by getting all children in the UK reading well by the age of 11.